Los Angeles County's South Bay is referenced by the lower arc of Santa Monica Bay and includes the communities between El Segundo on the north and Palos Verdes Peninsula on the south, eastward to the Long Beach border. 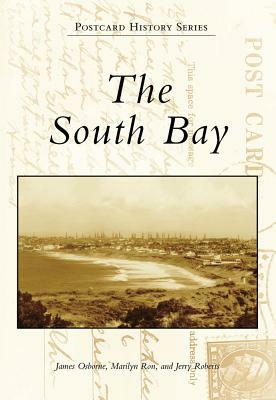 Roughly defined over the years as the coverage area of the Daily Breeze newspaper, as well as the confines of the South Bay Council of Governments, the South Bay always has been much more than the beautiful coastlines of Manhattan, Hermosa, and Redondo Beaches, as seen in these vintage postcards. It was, as it is today, also the residential and workaday worlds of Torrance, Hawthorne, Lawndale, Inglewood, Gardena, Lomita, Carson, and the Los Angeles Harbor communities.